Mix together all dry ingredients in a large bowl. Using a box grater, grate 6 tbsp butter and mix gently into dry ingredients. Make a well in the center and pour in the buttermilk, mix until buttermilk is mostly incorporated, then add the blueberries. 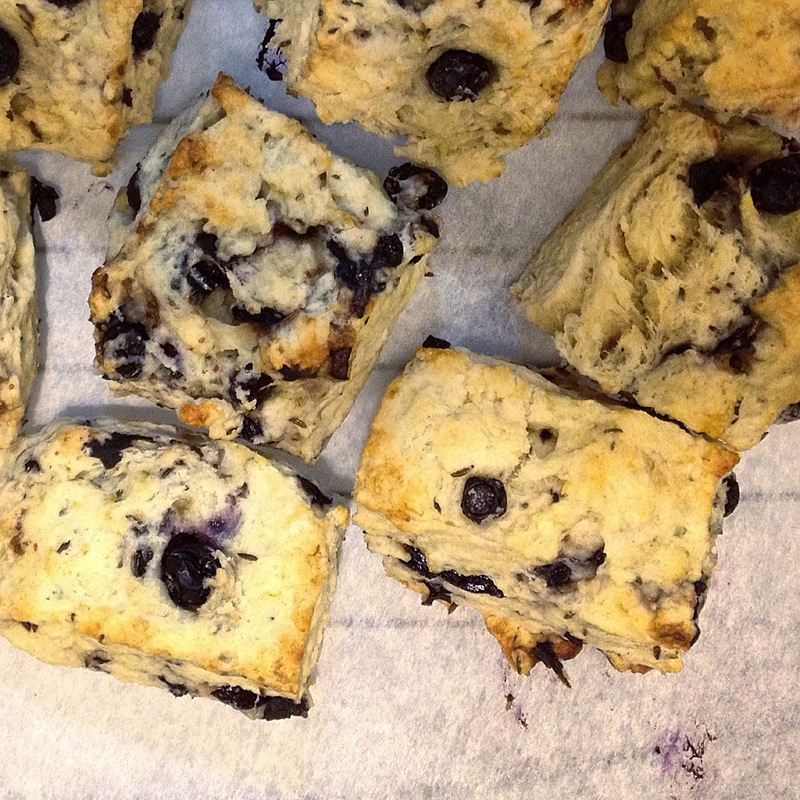 Mix together dough until blueberries are well-distributed throughout batter, being careful not to over-mix. Place on a parchment-lined baking sheet. Bake for 25-30 minutes, until lightly browned.